The FAS Girguis Laboratory Renovation project scope includes renovations within the 3rd floor of the Bio Labs Building and includes select demolition and construction of new partitions, ceilings, and general finish upgrades as part of the total renovation of existing office, conference and laboratory spaces. Work also includes new lighting throughout and mechanical system upgrades and additions to support the new laboratory spaces. The renovation will encompass approximately 6,415 square feet. 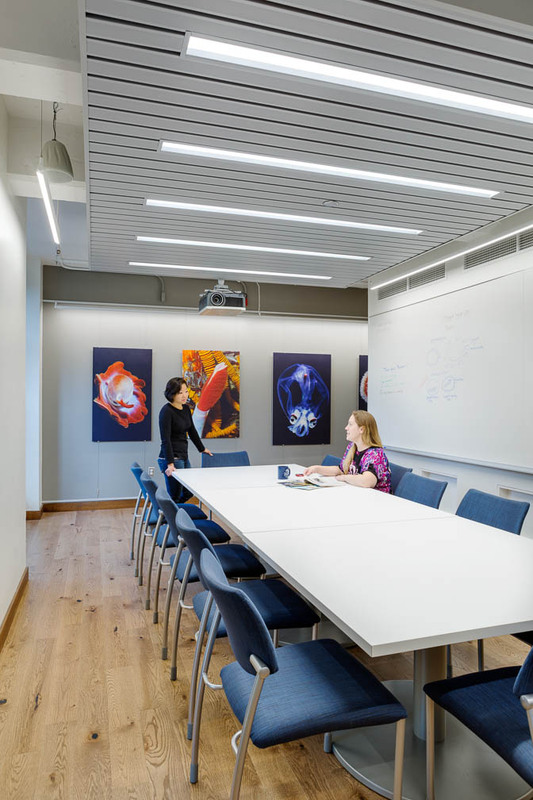 The project’s goals were to create high performance lab spaces that optimize energy and the indoor environment, reduce resource consumption, and increase occupant engagement. The project team was committed to sustainability from the onset and followed the Harvard Green Building Standards to make more informed decisions. These standards led to the inclusion of a number of progressive design strategies to meet aggressive energy targets and reduce water use without significant additional cost. The project achieved LEED-CI v3 Gold certification in June 2016.